The five-month long unrest in Kashmir, which saw a ding-dong battle between the stone pelting mobs comprising young agitators and the pellet gun holding security forces after the death of a leading terrorist last summer, is one of the reasons behind the unseasonal flooding of Srinagar city. According to a report in State Times, the daily English newspaper published from Jammu, the government was unable to execute a single work under the Atal Mission for Urban Rejuvenation and Transformation (AMRUT) in summer. This led to clogging of the drains which obviously led to flooding of the summer capital in the recent unseasonal rains. Under the centrally funded AMRUT, an amount of Rs 153.87 crore was earmarked for spending on changing the basic infrastructure of Jammu, Leh, Anantnag and Srinagar cities. In the capital city, the municipal authorities were planning to replace 60 of the 80 worn out dewatering pumps. Srinagar had faced terrible floods in 2010 when the swollen Jhelum had breached at several points and inundated the entire city. The State Times report has quoted officials as saying that due to street protests, they were unable to carry out any work. This is the reasonwhy Srinagar roads are flooded even when Jhelum is merely flowing at danger level and its waters have not flooded the city. Besides, the officials said the World Bank had decided to fund a Rs 300 crore project to create infrastructure in Srinagar for flood prevention. But, the project failed to take off due to unrest and protests in the summer because of which no official of the Bank was able to travel to undertake the surveys. 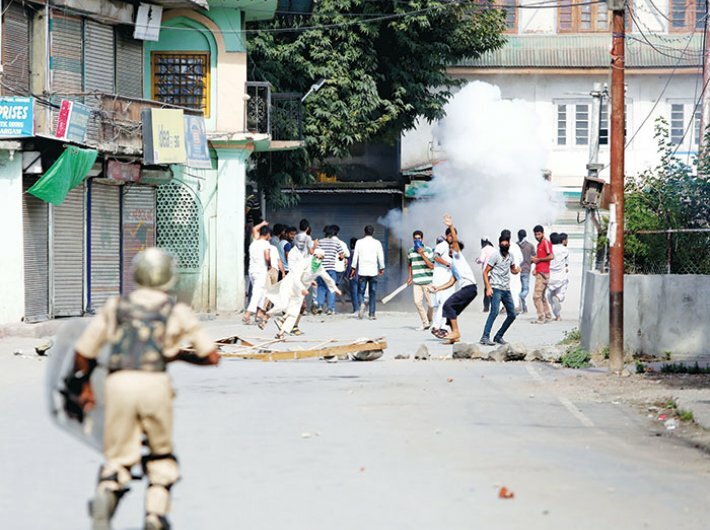 It may be recalled that last summer, Srinagar and many towns remained closed due to street protests led by stone throwing mobs after the killing of Burhan Wani, a Hizbul mujjahideen terrorist, who had emerged as an icon for the youth on social media.